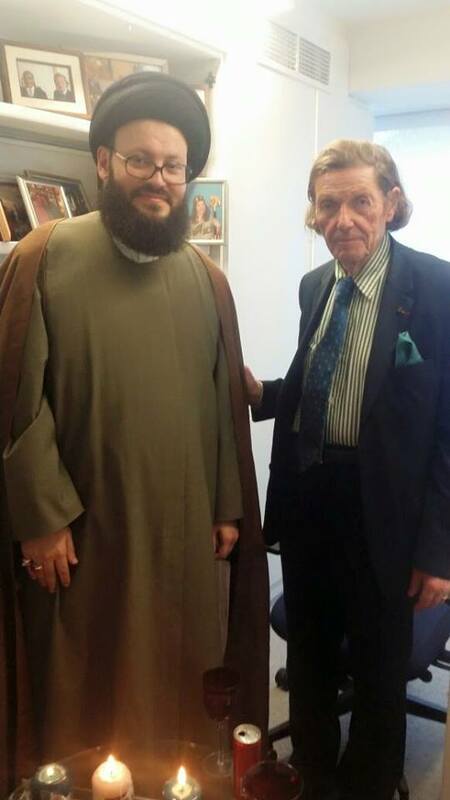 • الموضوع : Mohamad Ali El Husseini meets Oliver Strin at UMP headquarters in Paris . Dealing with ethnic and religious diversity has become a the top of list of issues for European politicians in general and French in specific. This issue has been exacerbated, especially with the escalation of appearances falsely and aggressively affiliated to Islam where it was necessary to clarify the clear image of Islam in a civilized and decent manner. 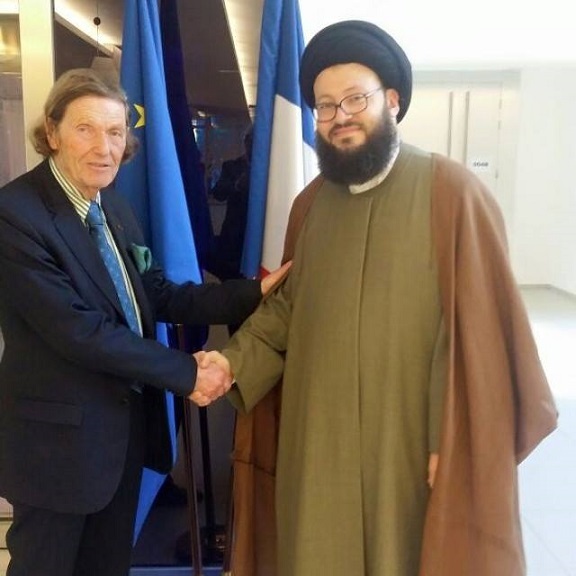 As part of such efforts to convey this sublime message, Sayed Mohamad Ali El Husseini met with the prestigious French politician Olivier Stirn, at the headquarters of Union for a Popular Movement (UMP) in the French capital Paris. The meeting between both carried conversations about situations of Muslims in Europe in the meantime. His Eminence El Husseini introduced his vision regarding the image that Europeans in general and French in specific carry about Islam and the importance of carrying practical actions towards facilitating the social integration of Muslims in their European communities. In addition to utilizing the media as an effective tool to achieve intimacy and spread the culture of tolerance between people of the same realm, for that is a social-humanitarian necessity. Sayed El Husseini advised that Muslims ought to be loyal to their countries and citizenships and that religion should not be an impediment that deter from that, or their feeling of faith to be abused by some extremist groups or foreign regimes. For his part, Mr. Stern expressed appreciation for the visit of His Eminence as well as his compatibility with the principles Cleric El Husseini put forward. Mr. Sterrn presented his point of view based on his experience in this area. Mr. Stern suggested to His Eminence to proceed together in spreading the culture of accepting the other and gave an example of his refusal to the phrase "French Muslims, franco-musulmans" as it is a harmful matter to the society; while it is vital not to mix between the nationality of citizens and their religious belief. Mr. Stern emphasized that he a proponent for applying secularism which gained support of many Muslims who viewed it harmless to their faith. Stern stressed that he advocates raising the mists that hide the real face of Islam, and that dealing with people should not be on the basis of their religions since that will lead to the demolishment of society sooner or later.